On the weekend of March 19 – 20 the International Society of Typographic Designers (ISTD) held their annual student assessment scheme. This year Tijl was fortunate enough to help judge the event, held at the University of West England Bristol. 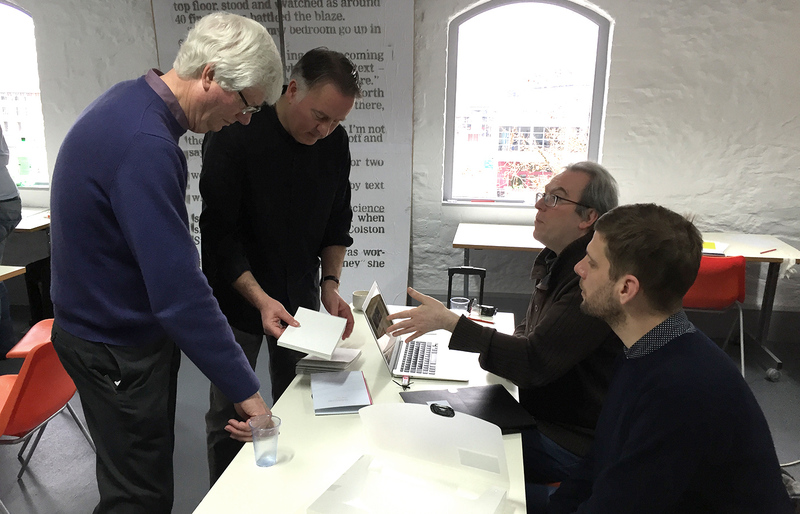 Teamed up with Tony Pritchard, Tijl had two days of rigorously assessing a large amount of projects submitted by students from the UK and across the globe. The idea for the scheme is for students to complete one project from five provided briefs to gain one of the most highly regarded graphic design ‘qualifications’ – an ISTD membership. Due to obvious reasons, we can’t share any submitted work until the results are finalised, but keep your eyes peeled on the ISTD site soon. It was a great weekend, seeing some amazing work from upcoming designers. Thanks again ISTD!